18.8 one way for the full trail, with several jump on and off points along the way. Seattle’s love of the bicycle takes second to none, and there is no cycling route that exemplifies this more than the Burke-Gilman. 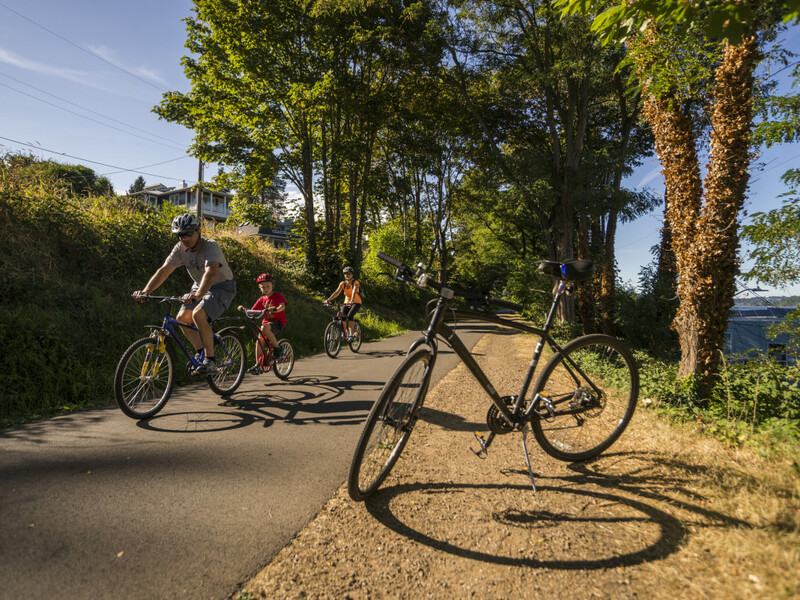 This historic route – a “rail trail” that was once the Seattle, Lake Shore, and Eastern Railway Corridor – is 18.8 miles of paved, relatively level paths that are mostly free from cars. The Burke-Gilman is equally perfect for getting in some exercise and as it is for just getting around town. 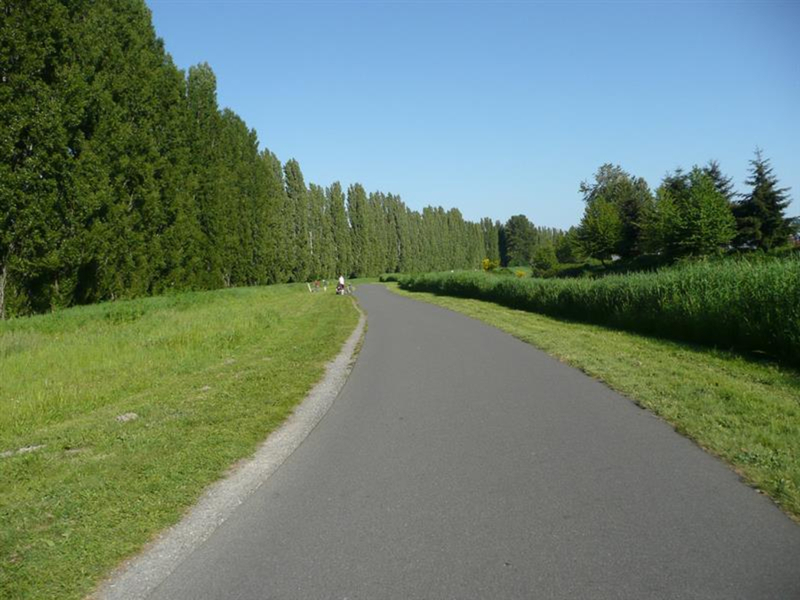 Often referred to as “The Burke,” the trail officially begins at 11th Avenue SW in the neighborhood of Ballard (but it also easily connects with Golden Gardens if you’re willing to cycle on the street a bit). Moving east, the path continues through the Fremont neighborhood along the Lake Washington Ship Canal, which links Lake Washington to Puget Sound. It passes by Lake Union via the famous Gas Works Park, takes a quick tour through the University of Washington campus, and on through the yuppie University Village shopping center. The path then sweeps up north, passes Magnuson Park, and then continues along Lake Washington through Sand Point, Matthews Beach and Lake City. The Burke then leaves Seattle to continue on to Kenmore, around the northern end of Lake Washington. 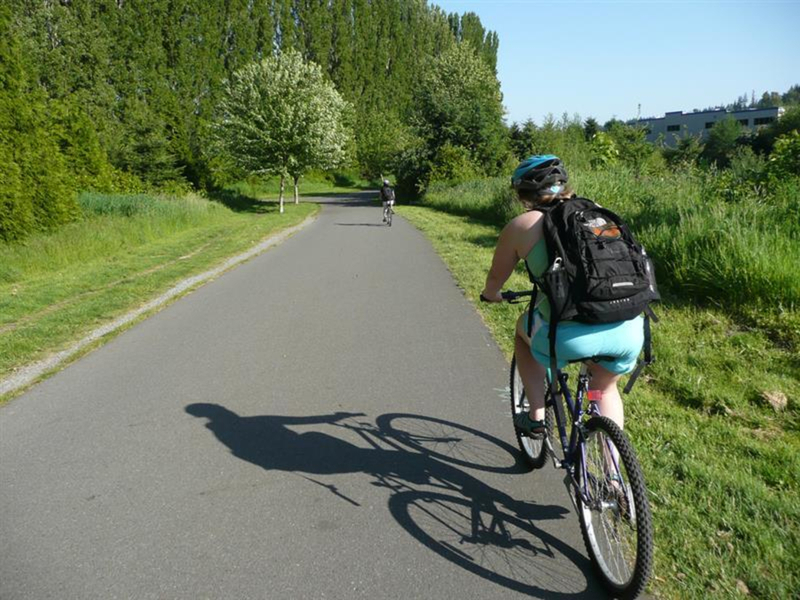 But if you were hoping for an even longer ride, the Burke-Gilman won’t leave you hanging: it then connects up with the Sammamish River Trail, which continues for south for another 10 miles until it becomes the East Lake Sammamish Trail, which goes all the way to Issaquah. Between these paths, the longest segment of unbroken trail extends 42 miles. The Burke’s beginnings go back to the development of the local railway, headed by Thomas Burke and Daniel Gilman, in 1885. After the railway was abandoned, the city of Seattle bought a portion of it in 1978, and developed the first 12.1 miles of public trail. 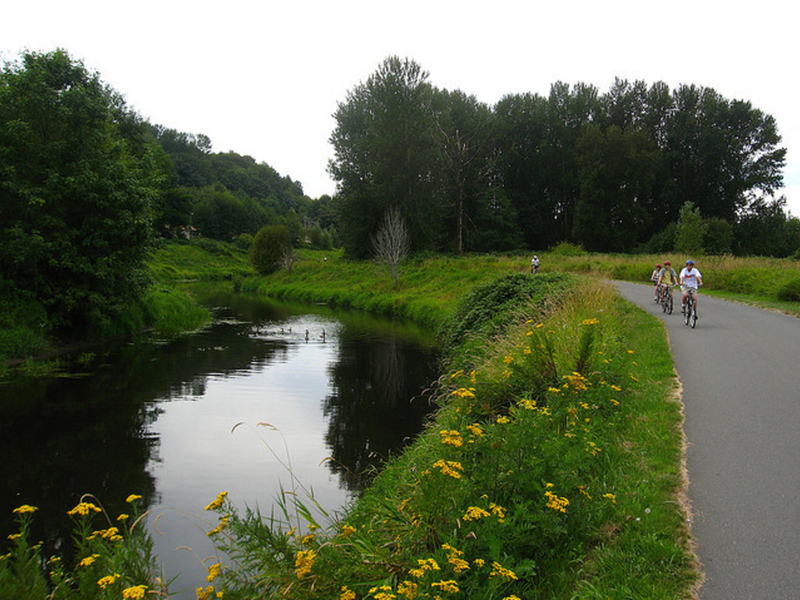 In the years since, the city continued to expand the Burke – and is still actively developing the path today as part of the King County Regional Trail System. 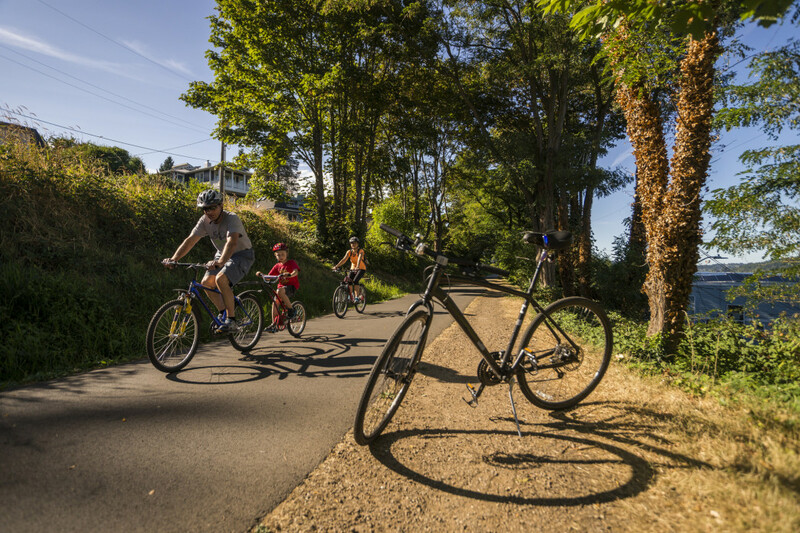 As the centerpiece of Seattle’s cycling infrastructure, the Burk-Gilman can get crowded – especially the portion that runs along the Lake Washington Ship Canal if you tour it on a warm summer’s day. Bring your good common sense, and remember to share the road! If you want to spend a day exploring the Burke but don’t own a bike of your own, Fremont’s Recycled Cycles is almost right on the trail and has some good rental options. Anyone and everyone who likes to bike: The Burke-Gilman is a favorite among the earnest spandex-clad racers, the buttoned-up commuters, the lollygagging flower children, the mustachioed hipsters, and the selfie-hounding tourists alike. You can hop on the Burk-Gilman at any point along the route. Find street parking, or park in one of the city park’s lots (like Golden Gardens or Magnuson).